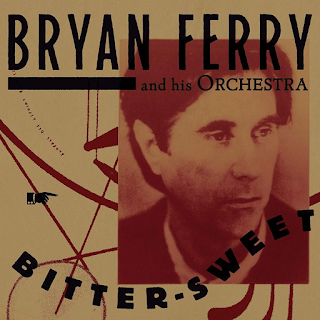 After the slightly ill-conceived project of 2012's "The Jazz Age", which saw The Bryan Ferry Orchestra (sans Ferry) playing several Roxy Music/Ferry solo numbers in a muffled, mock-1920s mono way. For me, the deliberately lo-fi sound did not work, and furthermore, many of the songs were unrecognisable from their originals (to me anyway). Here, however, although The Bryan Ferry Orchestra are back, there are considerable improvements on this one. 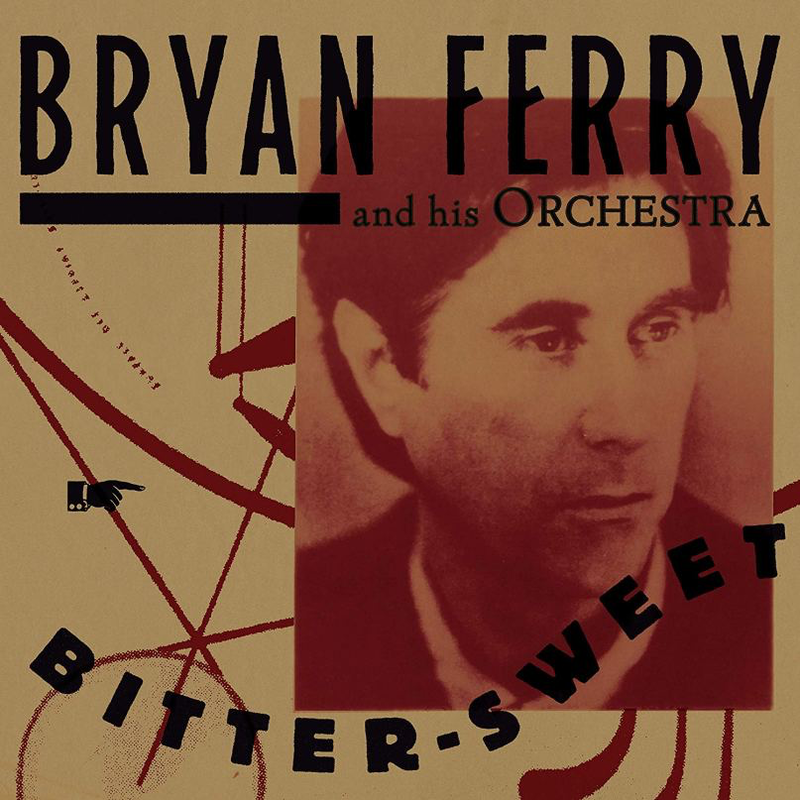 Ferry makes an appearance on several songs and the sound is notably improved. Having said that, several of the numbers sound decidedly mono. Either way, there is much more clarity of sound on these recordings. Indeed, I am pretty sure they are mono. Good mono, however. There is still a bit of "muffling" here and there. I guess that is just the "smoky" sound they are trying to achieve. "Alphaville" from "Olympia" kicks off the album in a staccato, almost 1930s Berlin jazz style. Ferry's ageing voice suits the interpretation perfectly. The sound is still slightly lo-fi, but it is miles better than the previous offering. "Reason Or Rhyme" from "Olympia" also has a vocal and is pretty appealing, offering a different feel to the original. Somewhat brooding and laconically melancholy in its jazzy backing. "Sign Of The Times" from "The Bride Stripped Bare" is a jaunty instrumental and pretty much unrecognisable from the rocking original. It is pleasant enough in its own right, though. "New Town" from "Bête Noire" is given a most agreeable jazz makeover and although it is enjoyable, I have to say, as with most of the recordings, that I prefer the originals. That is not really the point, however, is it? "Limbo", also from "Bête Noire" is a lively instrumental and the original is discernible. Again, this is quite evocative and atmospheric. "Bitter-Sweet", the teutonic Roxy Music number from "Country Life" has a vocal and the song hasn't lost any of its sturm und drang. 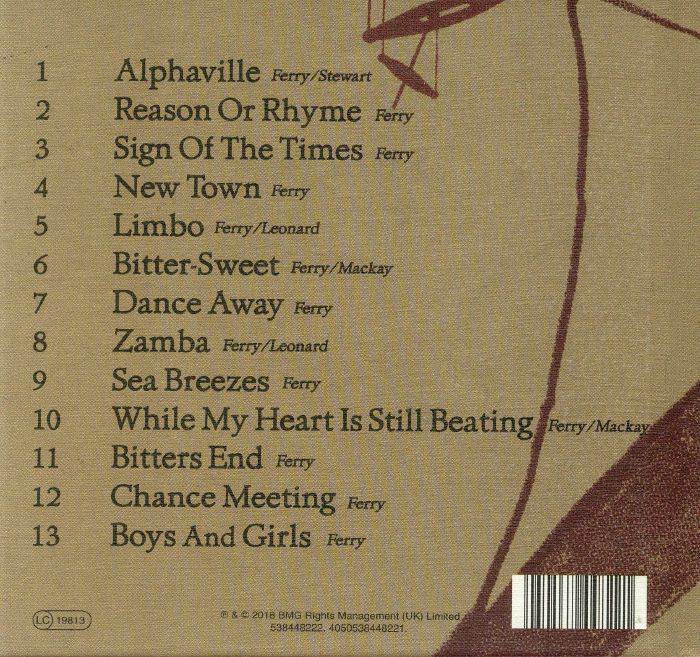 Ferry's vocal is even better than the original and the song sounds similarly mysterious and at times bombastic. Once more, it is full of atmosphere. "Dance Away" from Roxy Music's "Manifesto" is give the instrumental treatment and its melody is there in a quirkily, "flapper"-ish fashion. I must say I quite like this one despite my misgivings over much of the instrumental interpretations. "Zamba" from "Bête Noire" has a haunting Ferry vocal. It is one of the album's best cuts. "Sea Breezes" from the first Roxy Music album has a most fetching jazz new incarnation despite its lack of vocals. This one works pretty well. Roxy's "While My Heart Is Still Beating", from "Avalon", has another excellent laid-back Ferry vocal and sumptuous backing. The song suits the new coat it has been given. "Bitter's End" from the first Roxy Music album is performed without vocals but is melodically recognisable. 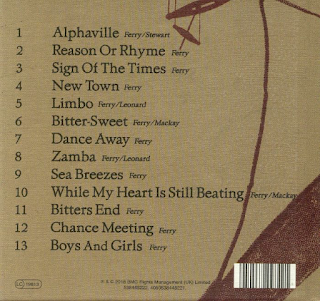 "Chance Meeting" from the same album, like "Sea Breezes" is a track that Ferry has re-worked before, on his "Let's Stay Together" album. Here, he does so with vocals and it is another success, for me, anyway. Lovely oboe work (or at least I think it is an oboe!). The album ends with the title track from the "Boys And Girls" album. It is an intoxicating, ghostly track that has a dignified beauty to it. Look, this is an enjoyable listen and I know that every year or two I will give it a whirl. Will it replace the originals? No. Does it better the originals? No. Does it really matter whether it does or not? No. Take it for what it is.